The color black has a long and symbolic history in art, culture, and power. Black can represent darkness, evil, magic, mourning, authority, law, secrecy, misfortune, falsehood, illegality. Black has another side; elegance, sophistication, solemnity, functionality, and authority. I am drawn to this duality of black. On the one hand, black can be defined as the absence of all light and all hue—an absolute nothingness. On the other hand, a black pigment can also be defined as the appropriate mixture of all pigments—a total amalgamation. 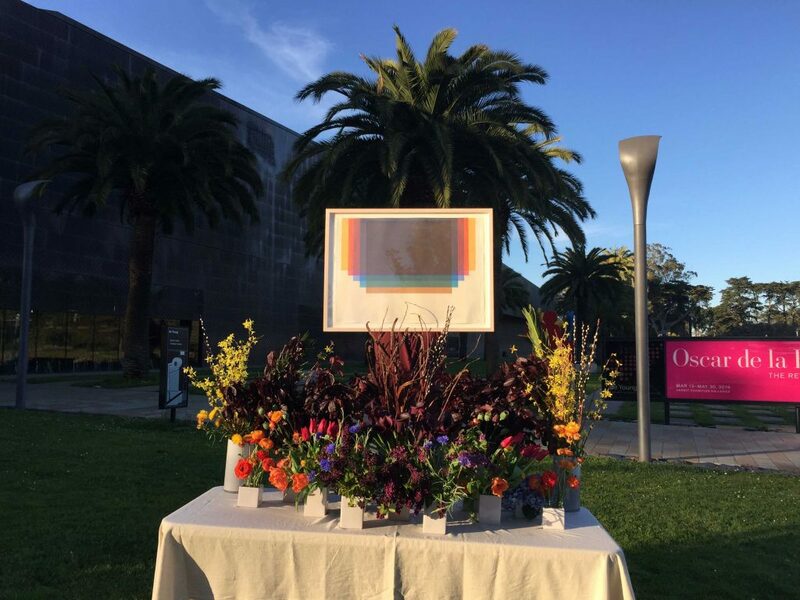 Since 1984, The de Young Museum, in San Francisco, has hosted an annual Bouquets to Art exhibit, pairing floral designers with the permanent collection to interpret a work of art through botanicals. 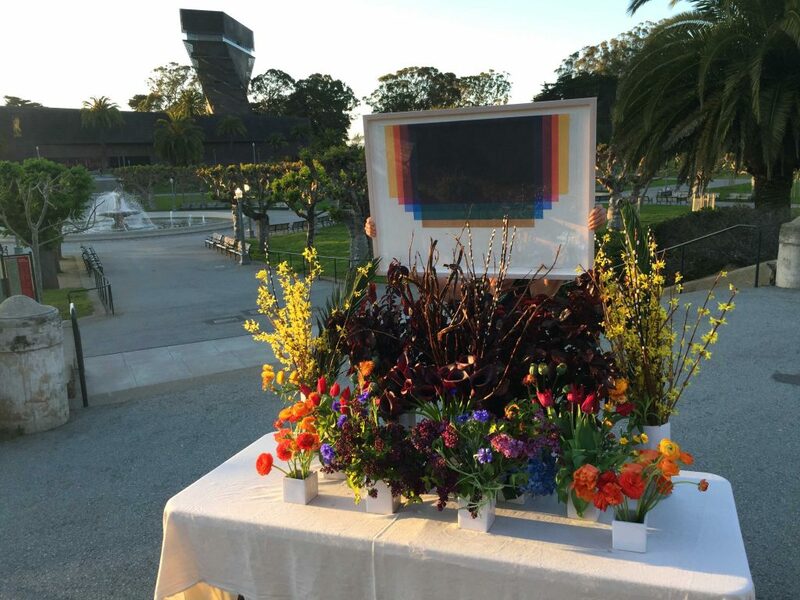 The 2016 florists were already chosen, however I decided to participate anyways, and I created a floral installation as an interpretation of the piece of art I look at every morning, Make Black, a print by Shaun O’Dell. Make Black, 30 1/8" x 21 3/4", an etching from 5 aquatint plates by Shaun O’Dell. 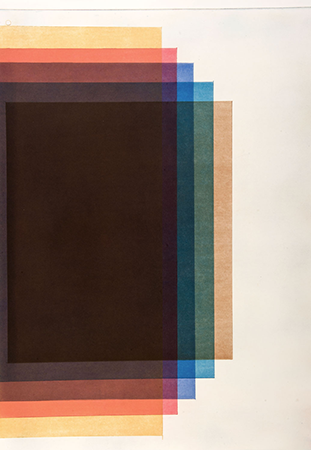 His piece was made during a residency at Island Press in St. Louis in fall 2013. I’m drawn to the piece for many reasons: its bold use of nuanced color, the way it shows process, and the slow patience required to execute the work. I have always been sensitive to, and curious about color. My senses are soothed and uplifted when I experience moments in the world of pleasing color harmonies. I am often drawn to dark, moody, full-bodied color with intensity, depth, and saturation. I always get excited by the bold and rich colors nature provides. I remember drawing with my father as a child. We would look out into nature– the hills in Marin– and he would say, “See how many shades of green there are. There are purples, and blues, and oranges, and reds, and blacks in all those greens.” His drawings would be alive with contrasting and complimentary color, even though we were just looking at a swath of green trees. 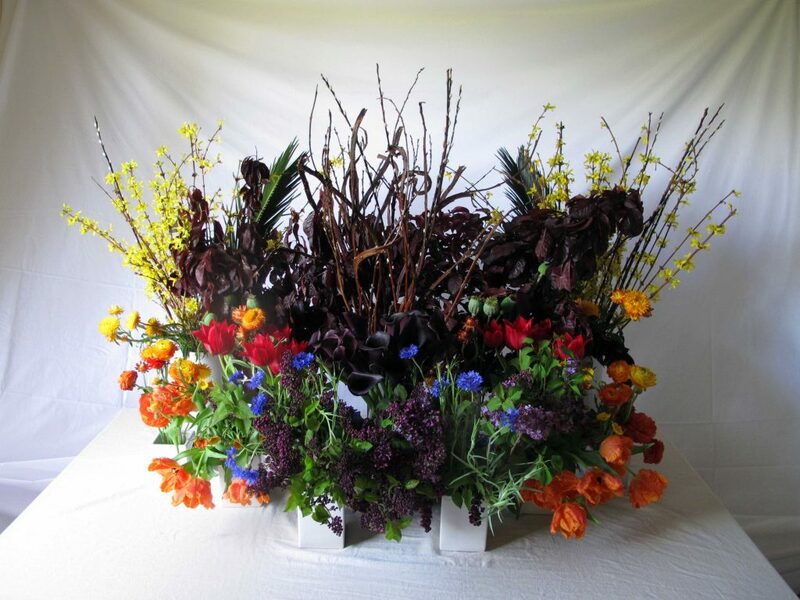 Its with this lens I look at Make Black and interpret its color through black calla lilies, plum branches, and willow all naturally occurring in their dark hues. 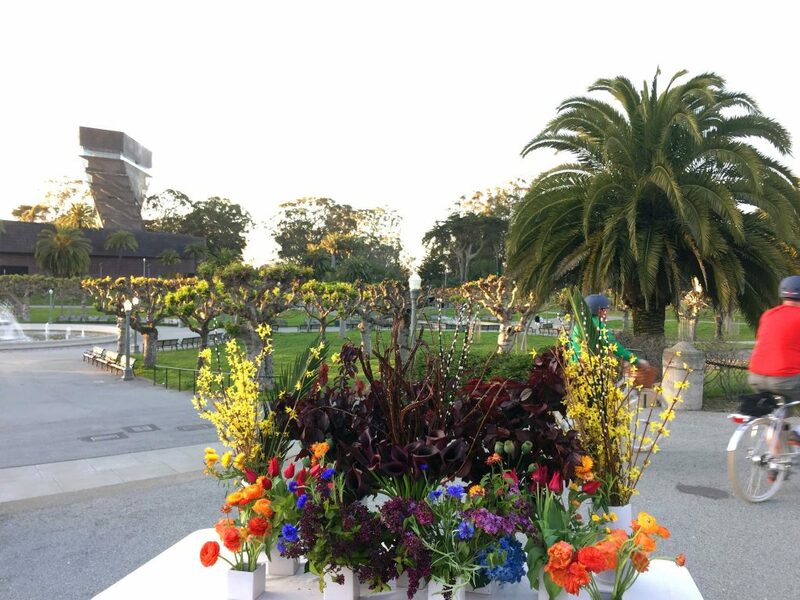 Contemporary art and flowers are both luxuries, aesthetic pursuits, and at times, seem trivial in the big picture. However, I have spent much of my life in both worlds, and am fortunate to do so. Lately, I have been thinking about how flowers and art fit together. 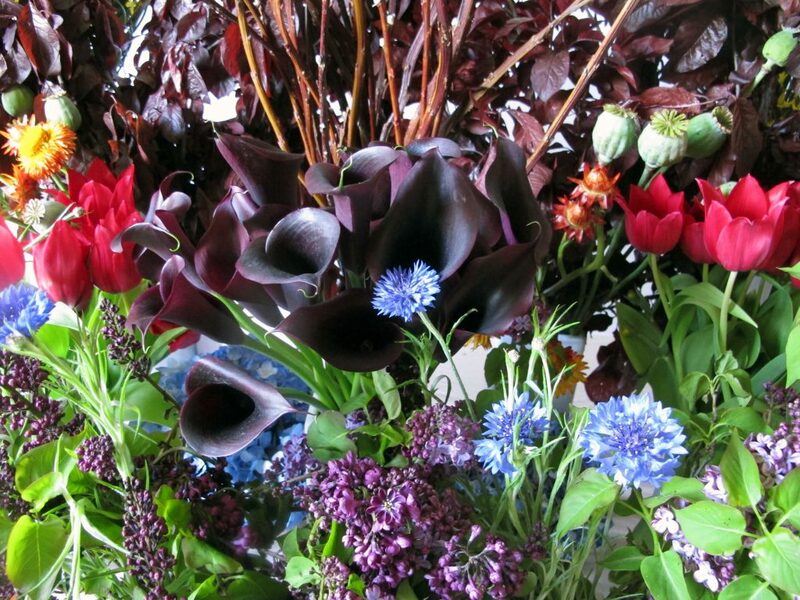 I was enchanted to read a recent NY Times article about a contemporary art gallery and flower shop pairing in London. I immediately felt a kindred spirit. I think it's possible black is the liaison which connects art and flowers. Post Pop-up Show and Tell: Thank You!